SR 48 to Collier Ridge, property on Right. Sign on. Own a piece of Heaven on Earth! 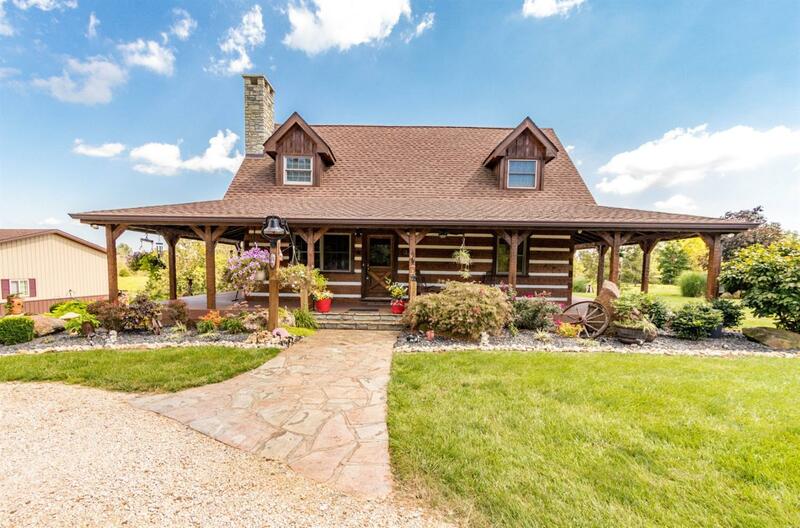 Log Home w/wrap-around porch overlooking glorious views! Every detail was generously thought out, pristine condition! House built w/Hemlock logs, soaring stone FP and huge loft. 3 car detached garage features a concrete floor drains/heat/AC/hot water heater/sink/stove.Five Stocked Ponds and fantastic hunting!! !